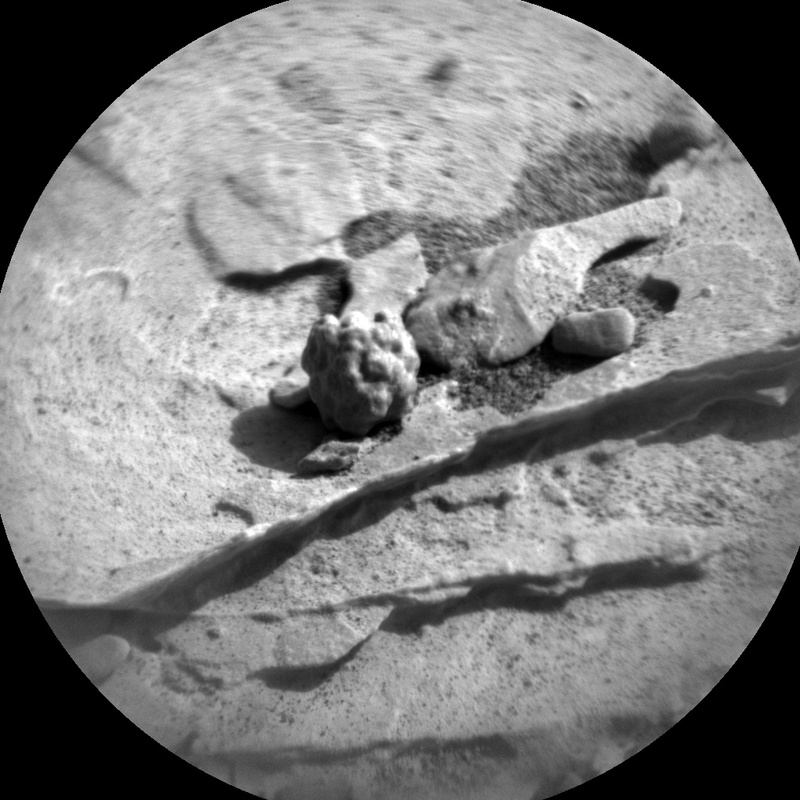 Sol 2075: It's a SAMple party! Today, Sol 2075, was a fairly straightforward day of planning, as most of the plan will be devoted to carrying out a methane experiment with our SAM instrument to analyze an atmospheric sample. On the plus side, we were able to squeeze in about 45 minutes of additional science block time, which was split between our Environmental (ENV) and Geologic (GEO) theme groups. ENV will perform several atmospheric monitoring activities to assess dust opacity with Navcam and Mastcam, including a few line-of-sight images and a tau measurement. ENV will also take a series of images with Navcam to look for dust devils as well as a deck monitoring image with Mastcam. GEO planned a ChemCam LIBS observation on the nodular target "Little Marais," which is seen in the RMI image above. We analyzed Little Marais on Sol 2074 and are carrying out an additional LIBS observation in today's plan to help us further characterize the chemistry of this interesting feature. ChemCam will also take an RMI image of the Duluth drill hole, which will help us plan additional drill hole targeting over the weekend.